Massive Attack & Hope Sandoval debut video for "The Spoils"
A couple of weeks ago Massive Attack debuted their new song "The Spoils" featuring Mazzy Star's Hope Sandoval on vocals. Now they've debuted the official video for the track which stars Cate Blanchett. View the video below. 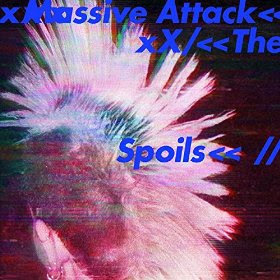 "The Spoils" is featured on Massive Attack's new EP which was released through their newly launched app Fantom (IOS/Apple devices only). Download Fantom here. The single is also now available as a digital download.